Yousry Bissada was appointed President and Chief Executive Officer of Home Capital Group on August 2, 2017. Mr. Bissada has more than 30 years of financial services experience focused on the mortgage industry and is a member of the Home Capital Group Board of Directors. Most recently, prior to joining Home Capital, Mr. Bissada served as President and CEO of Kanetix Ltd., an insurance and financial products digital platform. Mr. Bissada has held many senior executive roles across the financial services and fintech industry in Canada. Mr. Bissada was named Chief Financial Officer of FirstLine Trust Company in 1989, a leading mortgage services company focused on product development, securitization structures and non-branch origination channels. FirstLine Trust was acquired by Canadian Imperial Bank of Commerce, and Mr. Bissada was named Vice President of Servicing Operations for CIBC Mortgages and FirstLine. 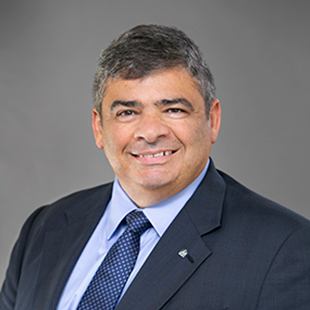 In 1999, Mr. Bissada was named Senior Vice President of Real Estate Secured Lending Products at TD Canada Trust, overseeing one of Canada's largest mortgage businesses. In 2000, Mr. Bissada was named President and CEO of Filogix, a B2B software and service provider to the mortgage industry, where he served until 2007. Mr. Bissada has also held numerous roles on the boards of companies in the mortgage industry. From 2009 to 2011, Mr. Bissada served as Chairman of two mortgage lenders, Canadiana Financial Corp. and Paradigm Quest Inc. From 2007 to 2009, he served as a director on the Board of Street Capital Financial Corp. He also served on the Board of Directors of Equity Financial Holdings Inc. from 2014 - 2017 prior to joining Home Capital Group. Brad Kotush has more than 11 years of experience as a public company Chief Financial Officer focused on financial services. In that role, he oversaw key functions such as public and internal financial reporting and budgeting, group risk management, investor relations, regulatory reporting, and treasury. Mr. Kotush first joined a predecessor firm of Canaccord Genuity Group Inc. (Canaccord Genuity) in 1996. When that firm was acquired by Canaccord Genuity in 1998 he became Vice President of Special Projects. In 2000, he was named Executive Director, Secretary and Chief Financial Officer of Canaccord Genuity's European operations and spent three years in London, England helping to substantially grow that operation. Following that assignment, he served as Senior Vice President of Finance and Chief Information Officer. In 2006, Mr. Kotush was named Executive Vice President and Chief Financial Officer of Canaccord Genuity. During his time at Canaccord Genuity's, Mr. Kotush was involved in its initial public offering, common, preferred and convertible debenture issues as well as bank financings. His responsibilities also involved integrating multiple acquisitions, including Genuity Capital Markets in 2010 and Collins Stewart Hawkpoint plc in 2011. Prior to joining Canaccord Genuity, Mr. Kotush spent eight years at KPMG. Mr. Kotush is a Chartered Professional Accountant (CPA, CA) and holds a Bachelor of Arts from the University of British Columbia. 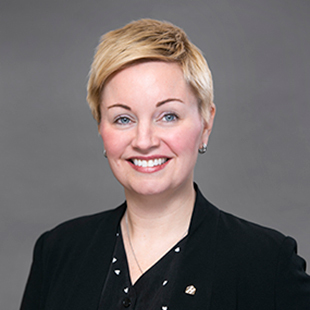 Amy Bruyea joined Home Capital as Senior Vice President, Human Resources in November 2017. Previously, Ms. Bruyea worked as VP, Human Resources and SVP of Credit Operations at a financial services firm and held several leadership roles at a leading fintech firm. 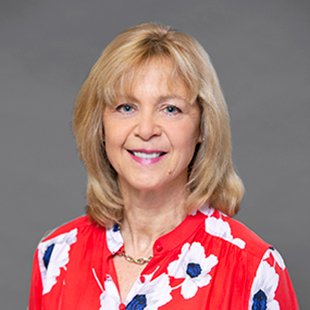 Ms. Bruyea is responsible for leading the development and management of the HR function specifically in the areas of change management, leadership development, talent management, organizational and performance management, and compensation. 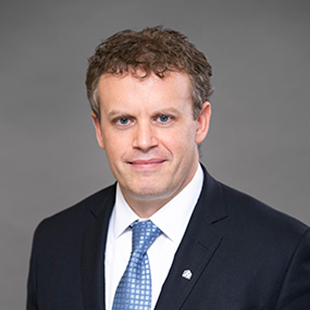 David Cluff joined Home Capital in 2012 and has since held senior positions including Vice President Enterprise Risk Management and Chief Credit Officer. Mr. Cluff brings an extensive background in credit and risk management. He was responsible for developing and leading the implementation of a credit governance framework for Home Trust Company. Prior to joining Home Capital Mr. Cluff spent 12 years at the Office of the Superintendent of Financial Institutions where his last role was Director, Credit Risk Division. 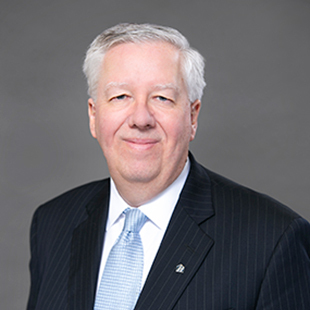 During his tenure with OSFI, Mr. Cluff developed a deep understanding of the regulatory landscape for financial institutions. Mr. Cluff obtained a BComm from Mount Allison University and an MBA from St. Mary's University and is a CFA charterholder. Victor DiRisio joined Home Trust in January 2018 and is responsible for leading the company’s information technology strategy, operations, and enterprise-wide transformation program involving all core banking, digital, and emerging technologies. Mr. DiRisio has more than 15 years’ experience in C-level information technology roles within large national organizations including Rexall PharmaPlus, Indigo Chapters, and Acklands-Grainger. Early in his career he spent a decade developing his technical and management skills at Procter & Gamble followed by 2 years testing his entrepreneurial abilities as one of the funding members of a technology startup company, Borderfree, which was sold to Canada Post. He has led a number of successful transformational information technology initiatives throughout his career involving large commercial off-the-shelf systems (SAP, JDA), custom software development (pharmacy management systems), and digital and emerging technologies (RPA, AI). 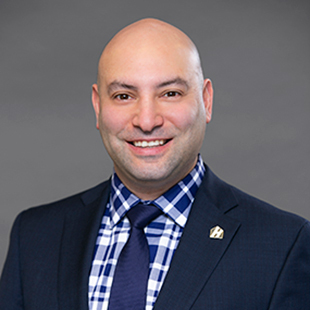 Mr. DiRisio holds a Bachelor of Arts in Economics and a Bachelor of Engineering Science from the University of Western Ontario, as well as an MBA from McMaster University. He is a past recipient of the Globe and Mail’s Top 40 under 40 Award. He is also an avid consumer of literature on technology & innovation, , business, and sustainability. 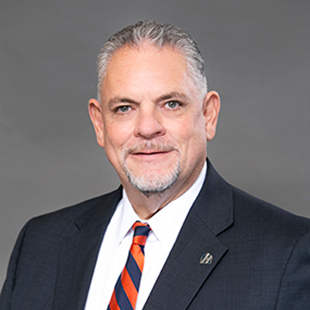 Mike Forshee is the Executive Vice President, Underwriting of Home Capital Group with responsibility for Residential and Commercial Underwriting as well as Funding. Mr. Forshee’ s experience includes 14 years at Home Trust Company including five years leading the Company’s Western Canadian operations. Mr. Forshee is a dedicated mortgage industry executive whose career has spanned 18 years across both domestic and international markets. He is a past member of the Education Committee of the Advisory Board of Seneca College’s Financial Service Underwriting Program. Mr. Forshee is a frequent speaker at industry events and contributor to industry publications. Mr. Forshee is an Accredited Mortgage Professional. He is a graduate of the Leadership Program at Queens University and a member of Simon Fraser University’s Mentors in Business Program. 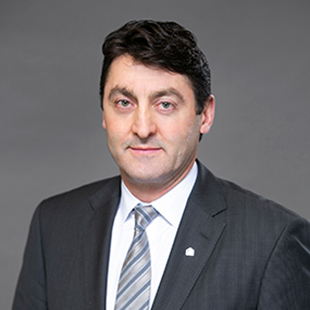 Mark Hemingway serves as General Counsel and Corporate Secretary for Home Capital Group Inc. He has more than 20 years’ experience as a general counsel. He has served as general counsel for seven companies in the financial services, consumer, manufacturing, business to business and distribution businesses. His experience includes more than ten years as general counsel with CIBC Mellon. Mr. Hemingway commenced his career as a litigation lawyer at Torys LLP and as a law clerk at the Supreme Court of Canada. Mark joined Home in May, 2018. Mr. Hemingway holds a Bachelor of Laws degree from Queen’s University and a Master of Law degree from Cambridge University. He is certified as a Specialist in Corporate and Commercial law by the Law Society of Ontario. He has received the ICD.D designation from the Institute of Corporate Directors and previously served as a director of an OSFI-regulated trust company. Dinah J. Henderson is Executive Vice President, Operations. She is a CPA, CGA with extensive experience in accountancy and operational management specifically in the financial services industry. She joined Home Trust in 1998 as Manager, Internal Audit and became Chief Accountant in 2005. She subsequently became Vice President of Finance in 2009 and then Vice President of Operations in 2011, assuming her current title in 2015. Prior to joining the Corporation, Ms. Henderson worked in public practice. She is responsible for overseeing the centralized operations and administration group with an emphasis on operational excellence. Ed Karthaus has been with Home Trust as Executive Vice President, Sales and Marketing since October 2017. Mr. Karthaus brings more than 30 years of experience in financial services, technology and telecommunications to Home Trust. A hands-on manager with proven ability in strategic planning, operational effectiveness and people management, Mr. Karthaus began his career in sales and marketing, with a focus on the tech industry. After establishing his credentials with such companies as Xerox, Oracle, and British Telecom, he honed his expertise in data management, software sales and business solutions for a variety of clients, both as an executive and as an independent consultant. For much of his career, Mr. Karthaus has deployed his solid command of technology and the sales process in the financial services industry. He has held executive positions with such companies as Filogix, Davis +Henderson, NCR and Teneda, overseeing everything from business turnarounds and long-term strategic planning to enterprise startups. In particular, he has extensive experience in the mortgage industry, and is well placed to lead Home Trust through the emerging FinTech landscape in Canada. 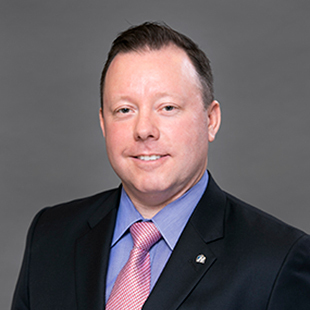 Mr. Karthaus is an Accredited Mortgage Professional and has served as a Director of the Independent Mortgage Brokers Association of Ontario. He was inducted into the Association’s Hall of Fame in 2009 and continues to act as an important voice in the country’s mortgage industry. Benjy Katchen is the Chief Digital and Strategy Officer of Home Capital Group. Mr. Katchen joined Home Trust in 2012 as Vice President Deposits where he founded and led the growth of Oaken Financial, Home’s direct to consumer brand. Over the last several years he assumed responsibility for Credit Cards and Retail Lending followed by Digital and Corporate Strategy in 2018. Prior to joining Home Trust, Mr. Katchen’s career spanned work in investment banking with RBC Dominion Securities, strategy consulting with Bain & Company, and leading sales effectiveness and channel strategy for President’s Choice Financial while at Amicus Bank. Mr. Katchen has also been involved in several start-ups and has consulted for several innovative and disruptive retail banking models. He serves as Chairman of the Hammer Band – from Violence to Violins a non-profit in Toronto. Benjy holds an HBA (Dean’s List) from the Richard Ivey School of Business, an MBA (with distinction) from INSEAD and is an Institute Certified Director (ICD.D) from the Institute of Corporate Directors. Anthony Stilo is Senior Vice President, Internal Audit of Home Capital Group Inc. and its subsidiary, Home Trust Company. Mr. Stilo joined the Company in February 2016. Prior to joining Home Trust Company, Mr. Stilo worked as the Managing Director, Internal Audit for Tangerine Bank for four years, and for MCAP as their Chief Audit Officer during the preceding ten years. 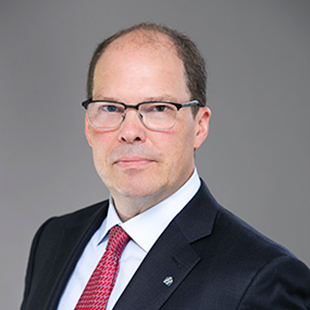 He has also served more recently as chair of his provincial accounting association board during the unification of the accounting profession in Ontario. 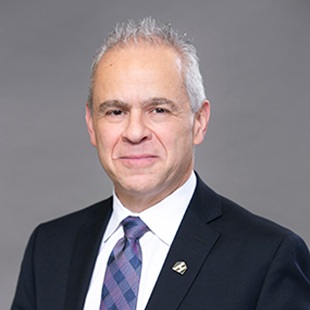 Mr. Stilo holds an Honors Bachelor of Commerce from the University of Toronto, the fellowship accreditation from the Chartered Professional Accountants of Ontario, and an ICD.D from the Institute of Corporate Directors at the Rotman School of Management.